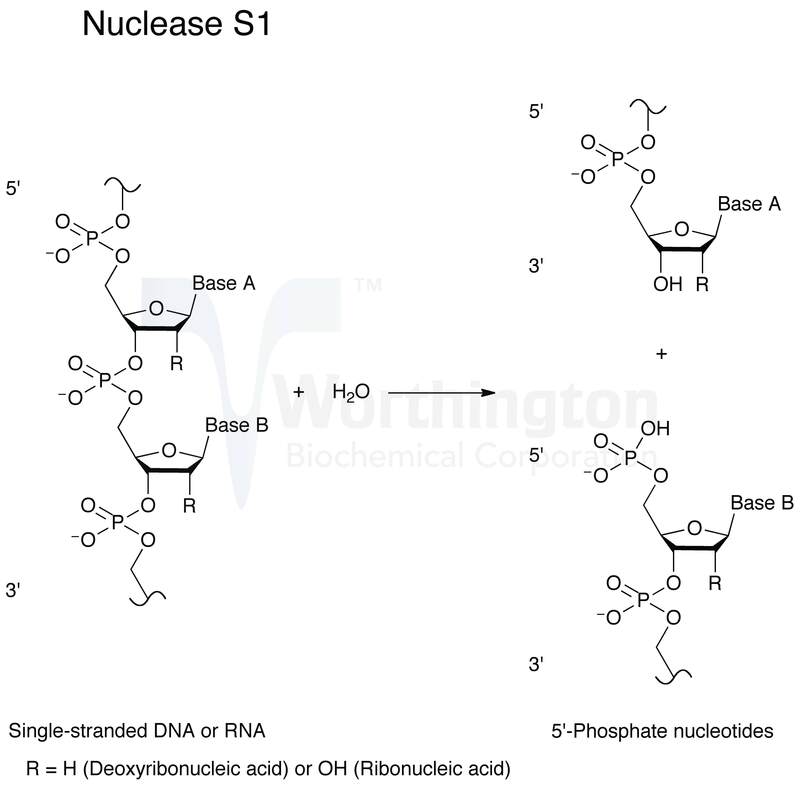 Nuclease S1, isolated from certain Neurospora and Aspergillus species, specifically hydrolyzes both terminal and internal phosphodiester bonds of single-stranded DNA and RNA. It is used to eliminate non-annealed polynucleotide tails and hair-pin loops in DNA-RNA or DNA-DNA duplexes in hybridization studies and in genetic recombination experiments. Molecular weight: Approximately 32,000 - 36,000 daltons, exists as a monomer. (Vogt, V. 1973). Optimum pH: 4.0 - 4.6. (Vogt 1973 and Ando 1966). Activators: Zn++ and/or Ca++. (Vogt 1973 and Ando 1966). Inhibitors: EDTA, citrate (Vogt 1973 and Ando 1966) and a high concentration of SDS.